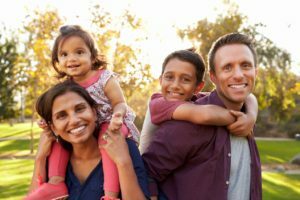 Enhancing Adoptive Parenting (EAP) is a programme designed for new adoptive parents whose children are aged between three and nine, and who have been placed within the last 12 months. Raising Kinship Children (RKC) is a very similar programme for special guardians. Both programmes are also suitable for prospective adoptive parents/special guardians, and possibly regarding children older than 9 years, or who have been in placement for longer than 12 months. The EAP programme was devised by Professor Alan Rushton OBE and Dr. Helen Upright. Professor Rushton is a former PAC-UK Chair of Trustees and Dr Upright is Consultant Clinical Psychologist, Cambridgeshire Fostering and Adoption Clinical Psychology Service. Unlike some other parenting resources, the EAP programme was rigorously tested for effectiveness in a Randomised Controlled Trial as part of the Adoption Research Initiative (funded by the Department for Education and the Nuffield Foundation). Based on the EAP programme, PAC-UK developed the Raising Kinship Children (RKC) programme to reflect the needs and concerns of special guardians. The EAP and RKC programmes (as well as EIS) are usually delivered within the home or via Skype by a specially trained counsellor or therapist. In addition we offer Early Intervention Support (EIS), which consists of 4 sessions for families whose early placement support needs are to be clarified. The EAP or RKC programme may be advised to follow EIS. The EAP and RKC programmes (as well as EIS) are usually delivered within the home or via Skype by a specially trained counsellor or therapist. Our leaflets with further information can be found at the bottom of this page. If you are a social worker or professional who would like to commission the EAP, RKC or EIS for a family, please contact us. We found each session extremely beneficial, we put in practice the various strategies over the past 10 weeks with the girls, learned a lot about how to approach various difficulties (which we are already using) and the homework brought it all together.Adoptive Parent. To further support the EAP and RKC delivery, we have created an ONLINE resource of 10 short VIDEO sessions which cover the programmes’ core content. The average length of each session is around 10 minutes. These video sessions are now an integral part of the face-to face or Skype delivery of the EAP and RKC programmes (and possibly EIS). 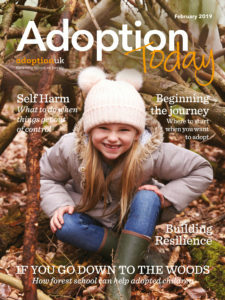 Adoption UK published a review (see below extract) of the online 10 video sessions in their Adoption Today magazine of February 2019, which you can read in full here. Click on the image to read a review of the online 10 video sessions published in Adoption Today. This series of video clips is a great addition to any adoptive parent’s toolkit. They provide a good backdrop to a support network of people who ‘get it’. A good resource to watch, consider then return to and dip in to over time. In our tenth year as adoptive parents, we wonder what we might have done differently if this kind of resource and information had been available when we started out.Ruth, Adoptive Parent. Funding: the Adoption Support Fund (ASF) will fund EAP and RKC. An Adoption Support Assessment will need to be undertaken by the family’s Local Authority first (as for all ASF funded interventions). Please feel welcome to contact us to find out more.